Can you spot the family resemblance? A Twitter user swapped Queen Elizabeth II and Prince George’s faces just ahead of the Queen’s 90th birthday, and the startling image has since gone viral. “Guys, I just faceswapped the Queen and Prince George. #SCREAMING,” London resident Jenny Huynh captioned the picture on Tuesday, April 19. Huynh took Kate Middleton and Prince William’s son’s visage and replaced it with Queen Elizabeth’s, and vice versa. 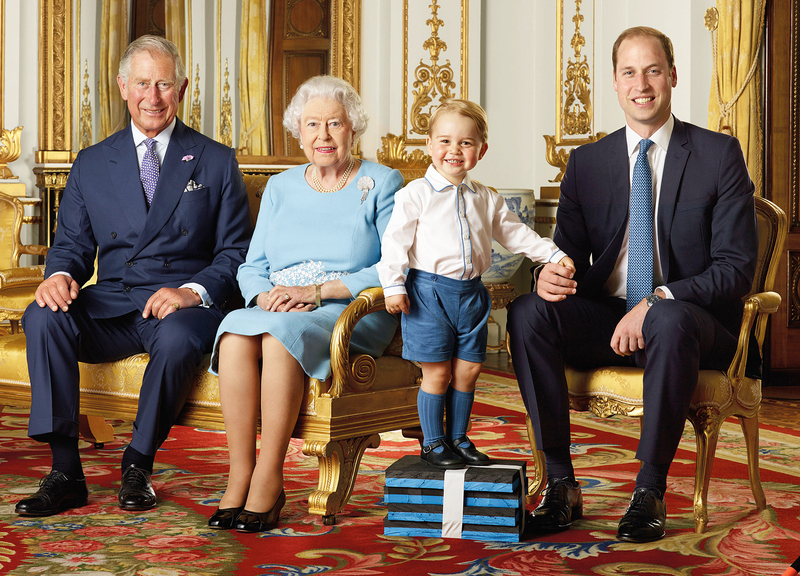 The result is a Benjamin Button-esque effect of a little old man in a boy’s body and a baby-faced elderly royal. Twitter was quick to react to Huynh’s creation. @jennywhojenny CHUCKIE IS THAT YOU? @jennywhojenny @KathyBurke Jesus, its Shirley Temple & Mickey Rooney!!! The post has since been retweeted nearly 2,500 times, and has made its rounds on the Internet just in time for the British icon’s 90th birthday on Thursday, April 21. Buckingham Palace recently released a professional portrait of the Queen and two of her grandkids and several great-grandkids, shot by famed photographer Annie Leibovitz. The children pictured are 2-year-old Mia Tindall (who’s holding the Queen’s handbag), daughter of Zara and Mike Tindall; James, Viscount Severn, 8, and Lady Louise, 12, the children of the Earl and Countess of Wessex; Savannah, 5, and Isla Phillips, 4, daughters of the queen’s eldest grandson, Peter Phillips, and his wife, Autumn; Prince George, 2, and Princess Charlotte, 11 months, the son and daughter of Prince William and Duchess Kate.